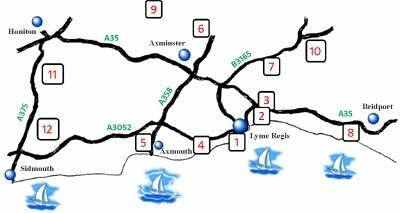 The Heritage Coast Lyme Regis U3A was founded in November 2005 and currently has a membership of approximately 600 from Lyme Regis and the surrounding area. Members receive two newsletters and two updates each year, plus five editions of the U3A national publication 'Third Age Matters' and two editions of the magazine 'Sources', all for an annual fee of £12 Individual or £22 Joint (see Application Form for full details). U3As are self-help, self managed lifelong learning co-operatives for older people no longer in full-time work, providing opportunities for members to share learning experiences in a wide range of groups and to pursue learning not for qualifications, but for fun. There are more than 915 U3A's in the UK with a membership of about 320,000. For more information about the U3A organisation visit the National website at u3a.org.uk or contact our membership secretary on 01297 444566. An illustrated talk by Dr Todd Gray . The fire that gutted the Royal Clarence Hotel in Exeter horrified people all over the country. Dr Todd Gray – a specialist in the history of Exeter will be speaking about the historical implications of the fire and what it revealed. speaking about the Festival of Britain and its impact on the country. Woodmead Halls, Hill Road, Lyme Regis DT7 3PG. Organised by U3A Heritage Coast, Lyme Regis. A Day at The Sidmouth Folk Festival: Wednesday August 8th NEW ADVERT!!! Coach from Crewkerne at 09.15; Bridport 09.45; Lyme Regis 10.15. Arrive Sidmouth 11.00 am. Depart 5.00pm. £10. If interested we will forward complete details from Viv Wiles. Bridgwater Carnival: NEW ADVERT!!! Saturday November 2nd. Leave Crewkerne around 2.00 pm by coach; Grandstand seats £20; travel £10. Events from 6.00-8.00. Return by 10.00? For more details and to let us know if this is a `goer` do respond quickly. Winner of over 90 international awards, including 22 for Best Musical, Matilda continues to delight audiences in London, and is currently touring the UK & Ireland until August 2019. We have 20 booked (final advice will go out next week) but I really need to sell 5 more tickets for this wonderful show in Southampton on June 27th at 2.00pm. Stalls seats. All-in cost around £60. Can existing customers ask around please? Increasingly under pressure from venues to pay for tickets early!!! `The Comedy About a Bank Robbery` Southampton matinee April 3rd. Final advice already gone to those committed but can probably get more tickets. £45 all-in. London South Bank: April 10-13. Spare tickets currently available for `Romeo and Juliet` (ballet) at The Royal Opera House and Richard II at The Globe. Accommodation can be arranged and coach transport is available. `Matilda` at The Mayflower, Southampton. June 27th Final advice will go out next month for those already committed. Currently two tickets available. £62 all-in. Stalls tickets. A Day at The Sidmouth Folk Festival: Wednesday August 8th NEW ADVERT!!! Coach from Crewkerne at 09.15; Bridport 09.45; Lyme Regis 10.15. Arrive Sidmouth 11.00 am. Depart 5.00pm. £10. If interested we will forward complete details from Viv Wiles. `Marriage of Figaro` NEW ADVERT!!! a return to Cardiff Bay for Mozart? Sunday February 23rd at 4.00 pm. All-in around £45-£50pp. `Mamma Mia` coming to The Mayflower, Southampton February 2020. Tickets not on sale yet but we can book a matinee if there is sufficient interest. In all instances get back to jdbart45@gmail.com to express interest. No commitment at this stage. Payment will not, generally, be collected until the day of travel. all customers will receive an email, prior to the trip, with final arrangements and indicating the cost although no payment will be required until the day of the trip; this email will always contain the word `final` and customers are advised to note the date carefully; all trips are costed precisely on the total price of tickets, travel and small gratuity for the driver; we do not take out any insurance; nor do we have any funds to cover those eventually unable to attend who will, sadly, be invoiced for the full cost of the trip. 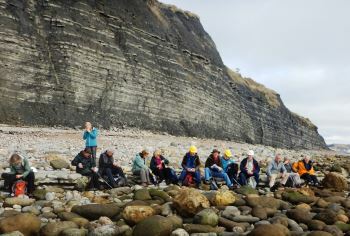 The Heritage Coast Lyme Regis U3A currently has approximately 45 active groups covering a wide variety of subjects. There are a number of study groups including Geology, Current Affairs, Opera Appreciation. Whilst others help maintain and improve fitness, such as Tennis, the Walking Groups and more. Other groups offer an opportunity to have a go at a new craft, whilst languages are ever popular and along with Bridge, Creative Writing all help keep the brain alert. For a full list of groups and when they meet see the Groups Schedule alongside. Even as few as two or three people may meet in participants homes and the leaders are voluntary, thereby keeping costs to a minimum. Studies are all undertaken at the group’s own agreed speed and there are no exams to take. Members are encouraged to see the value and take pleasure in learning for its own sake. It’s thanks to the Group Leaders who help make U3A such a success by giving their time voluntarily to provide members with such a variety of learning opportunities. If you’re interested in joining a group contact the Group Leader, even if there’s a waiting list don’t be put off as it may lead to further groups being formed. Groups need not be large anything from two or three people may meet regularly in member’s homes. Whilst larger groups use local community facilities for which a small charge may apply. Members are encouraged to see the value and take pleasure in participating for its own sake. If you’ve got any ideas for additional subjects or able to volunteer as a group leader, contact the Groups’ Co-ordinator. you need to renew your membership. The DIGITAL PHOTOGRAPHY GROUP is now in its second year and still has a core from the Class of 2017 that came from John Marriage's Photography Beginner's Course. We continue to try to develop our camera operations skills whilst having some fun at the same time. Last term we experimented with different shutter speeds. At short and at long shutter opening times we discovered a wide range of pictures that could not have been captured by human sight. This term we are studying the fundamental rules of composition. Next term we hope to have several short outings to put all the theory we have learnt into practice - well that is the idea anyway. Time will show. The group meets on alternative Tuesday afternoons. There are 7 of us on the group at present of varying ability and there is room for more members now. New members are welcome to try us out. If you are interested please contact me, Mark Gillams on mark.gillams@gmail.com. The SUNDAY LUNCH CLUB ONE is still going strong with usually 12+ members attending. We have three favourite venues which must be included every year, including the Lord Lease Hotel at Chard for our Christmas event. During the year two members celebrated 90th birthdays, joining another member who is 90 plus. Age certainly doesn't matter - all three ladies never miss, and two are founder members. This year we have two new venues to try which will be interesting. Finally, all the members are very loyal and supportive so I am blessed to have such a lovely group. The STROLLERS GROUP would like to welcome additional members to our easy walking group. The walks are ideally selected and led by members in turn and take place each Monday at 2.15 for an hour or so, weather permitting. Members select walks to avoid scrambling up hillsides, and for decent walking surfaces. Some members walk with walking sticks or poles. Do come and try our walks! Please phone Jan Robertson on 01297 560450. The SCOTTISH COUNTRY DANCE GROUP will continue to meet at Woodbury Community Hall, just off the road from Axminster to Raymond’s Hill on Monday mornings between 10:00 and 1200. Teaching is progressive and after a short warm-up, we normally have time for 4 or 5 dances plus a break for refreshments. We finish for the summer in May. Do join us! The GEOLOGY GROUP is fully booked for the 2018-19 session and well under way. The CURRENT AFFAIRS GROUPS 1 AND 2 are looking for new members. They meet on alternate Tuesdays from 10:15 to 12:30 If you are interested , please contact Iain Paterson on 01297 631193. The GARDEN LOVERS GROUP will, as usual, start its year with a meeting in the spring in the Woodmead Hall (date to be confirmed). 10 or so garden visits will be arranged for the summer months. This year I am proposing that some of these be coach trips which will enable us to travel a little further than usual and will make available to us some great new gardens which until now have been too far for car-sharing. 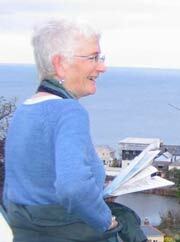 Mary Bohane (Group Leader) 01297 444566. The COMPUTER LEARNING GROUP (2 people at a time) meet once a week on Wednesdays for a couple hours for up to eight sessions in learners homes. It aims to give people more confidence in using the computer, ipad or such. Often people discover about things they had never thought about. The beauty is that there is no pressure and the atmosphere is very relaxed so that everyone learns something - often myself included. Try it and be pleasantly surprised. It’s free! The RARE BOOKS GROUP is a new group which will meet monthly at 7.30 pm on the first Friday of the month, starting on April 5th or, possibly, the fourth Friday of the month, starting March 22nd. Venue: Rare Book Room. The Sanctuary Bookshop 65 Broad Street. Lyme Regis.There is free off road parking adjacent. At the first meeting, we will sound out people's preferences re timing, dates, and program, etc. PAINTING TOGETHER: is anyone interested in co-ordinating, but NOT teaching, or joining a group of members who would like to paint together. HISTORY GROUP and ARCHAEOLOGY GROUP: We have had requests for these two areas but we would need leaders? Have we recently retired history/archaeology teachers or in our U3A or somebody with a passion for history/archaeology who could lead one of these groups? Many of the following will be at the Coffee morning on February 8th, so if you are interested please come and meet the leaders. Two long standing Group Leaders are now standing down. The Committee wish to thank John Wood who led the Jazz Group and Pam Moseley, the Relaxation Group until the summer, for over 10 years each. They have both earned a well deserved retirement and we do hope we see them at events in the future. This is not a U3A Group, but Bowls will commence at Charmouth Bowls Club, Barrs Lane, Charmouth DT6 6PS on 22nd April 2018. Informal games are played every Tuesdays, Thursdays and Sunday throughout the summer from 2.00 pm to 4.30pm. U3A members are very welcome to join in these informal games. There is no dress code other than flat shoes. All equipment is provided. No experience is needed. The first two sessions are free to U3A members and subsequent sessions are £3.00. Please contact Lester Bentley on 01297 560989. Every effort is made to ensure that the information listed is correct. If you are interested in joining a group please contact the Group Leader, even if there is a Waiting List. BEGINNERS ITALIAN 1st and 3rd Mondays of the month , 10am in members’ homes. BOOK GROUP 1 The first Monday in the month at 3.00pm in members’ homes. CREATIVE WRITING Monthly, 2nd Monday of each month, 2:15pm in members’ homes. WALKING 2 Fortnightly, alternating with Walking 1, We walk for about 1½ hours covering a distance of approximately 3miles. 10am Meet Uplyme Village Hall car park.’ Marion Richardson 01297 33824. Badminton group now meets at the Hub on a Tuesday evening from 5-6pm. With only one court this is not ideal but we are keen to see how we get on. If you’re interested in playing, please contact Susan Gale on 444260. COMPUTER LEARNERS Weekly, for 8 sessions for two members at a time, in members’ homes. CURRENT AFFAIRS 3 Alternate weeks 10.00 am- 12 noon at members' homes. Weekly, 10:00-12:00noon in members’ homes. Learning the language through French conversation, written materials, games, documentaries and films in French, etc Wendy Howard 01297 445195. First Saturday in each month at 9.30 alternating venues Bellcliffe Cafe and Courtyard Cafe. Please contact Rachael Pope 01297 445575 for venue. GARDEN LOVERS Visits to gardens throughout the Summer months. Meetings to share plants and seeds and occasional newsletter. The Group would like to thank David Jones for his leadership and all his support for this project - rewalking each route and checking our efforts. Our thanks also go to Susie Gamble for creating the model for the walk maps, Sue Wilson for her layouts and technical expertise and Maurice Liddiard for coordinating the project.